Tongin Market is a traditional market located near Gyeongbokgung Palace. It was set up as a public market for the Japanese resident during WW2 during the Japanese occupation. After the war, the market still remains and is being used to date. 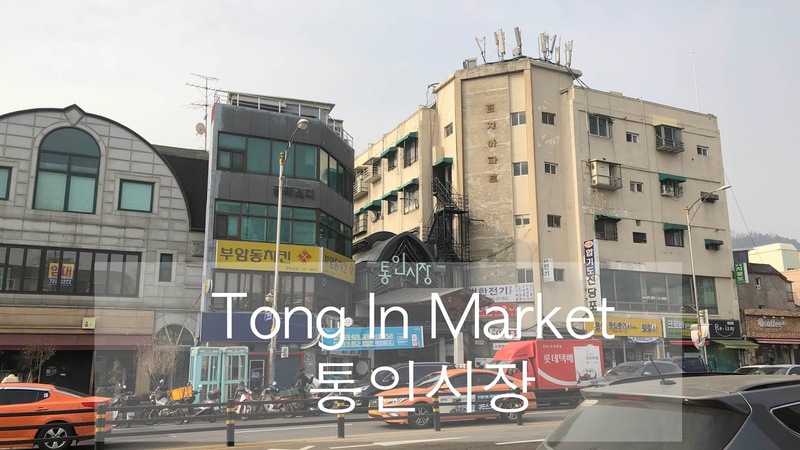 There are estimated 75 stores in Tong in Market. Thanks to S, we now know where to go for good and affordable street food in Seoul! We spent our late morning in the market and explore different alleys in the market. Plus, This market is definitely a great place for breakfast/lunch because there are so much you can choose from! For 5000 W, you get a tray and 10 traditional coins. Each coin is valued at 500 W. You choose the dishes you want from the participating outlets in Tong In Market. Look for the word 통, Dosirak Cafe or check with the owner if they accept the coins! Each dish has its own price. For example, 1 stick of Oden is 1 coin which is equivalent to 500w. Pretty good deal isn’t it? Plus, it tastes really good! After you fill up your trays with food, you can go to the second level and enjoy your meal! Do note that there limited seats and diners have to clear their own plates. Also, do segregate the waste accordingly. Tip: Order food that is cooked is on a hotplate! Otherwise, you have to heat up in the microwave oven that is available at second level.